Meet King Princess, AKA Mikaela Straus. A talented 19 year old singer, songwriter, multi-instrumentalist and producer from New York. Her gold certified, debut single ‘1950’ was released earlier this year at the same time she announced she had been signed to Mark Ronson’s new record label Zelig Recordings. The track was inspired by one of her favourite books, ‘1952’s The Prince Of Salt’ and is “told through the lens of queerness” speaking about historical gender roles/unrequited love in the LGBTQ community. The song quickly gained attention when Harry Styles quoted the lyrics on Twitter, and with Kourtney Kardashian and Charli XCX both shouting her out on Instagram. I love it when we play 1950. King Princess was introduced to the world of music at a young age as she was raised in her Dad’s Brooklyn studio, Mission Sound. Here she picked up the guitar, bass, piano and drums along with production skills. Influenced by the likes of Led Zeppelin, T-Rex & her obsession with Jack White, she then began making her own music. Her talent shined through as she was approached by record labels at the age of 11 but turned them down to finish school. 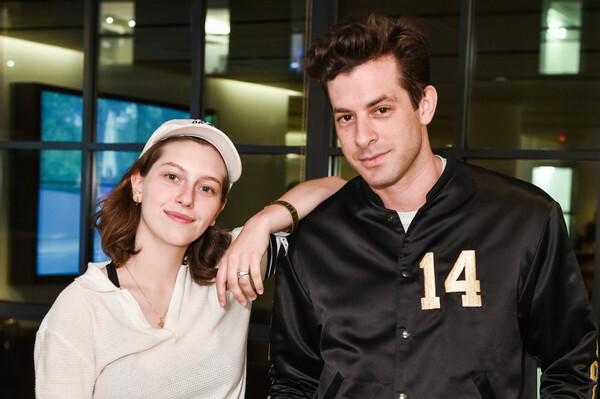 After the opportunity to have dinner with Mark Ronson, who called her a “prodigy in the making”, she felt she had found the right team to launch her into the industry. Since her short time in the spotlight, King Princess has already been hailed as a gay role model for her young fans. Something she noticed that was lacking in mainstream pop. She’s reached out within the community and used her profile to help others, most notable her good friend – Amandla Stenberg who came out as gay in an interview they did together with Wonderland Magazine. Her self produced debut EP ‘Make My Bed‘ was released in June, featuring her new single ‘Talia’ along with ‘1950’ and 3 other tracks. A body of work that encompasses her unique, emotional brand of sound and lyrical aptitude. After selling out her international headline shows, she has just announced her NZ debut show here for November – so be sure to check out the pop superstar in the making.